I was shocked to receive the email, as I had only recently been invited to London by Ubisoft to attend the Assassin’s Creed Movie Press Event. That had been an amazing experience, so I immediately accepted the invitation. I started to research Cologne. A quick google search showed a historic yet vibrant city. I had never been to Germany before, or even on a plane, so this was an invitation I was always going to accept. As August slowly approached, I thought of several ways to tell the Assassin’s Creed Community the news. After speaking to Irakli and Sofija (The Ones Who Came Before Admins), we decided that a graphic would be a suitable way to share the news. Irakli (McHeisenburglar) created a beautiful announcement graphic. I began packing my bag, and choosing the items I would need in Germany, such as Laptop, portable chargers etc. I set my alarm for 6am the next morning, ready for the big day. I didn’t get much sleep that night, as I was really nervous about getting from Birmingham to Cologne by myself. My Dad drove me down to Birmingham and I arrived at the airport with several hours to kill before my flight. Before that I had to check in, pass security and find my gate, which wasn’t as difficult as I had imagined. Luckily I didn’t have to queue for long when waiting for the next stages. To kill time, I started reading Assassin’s Creed Forsaken (For like the 10th time). It took ages for my gate to appear on the board, but as soon as it became visible, I made my way towards it. 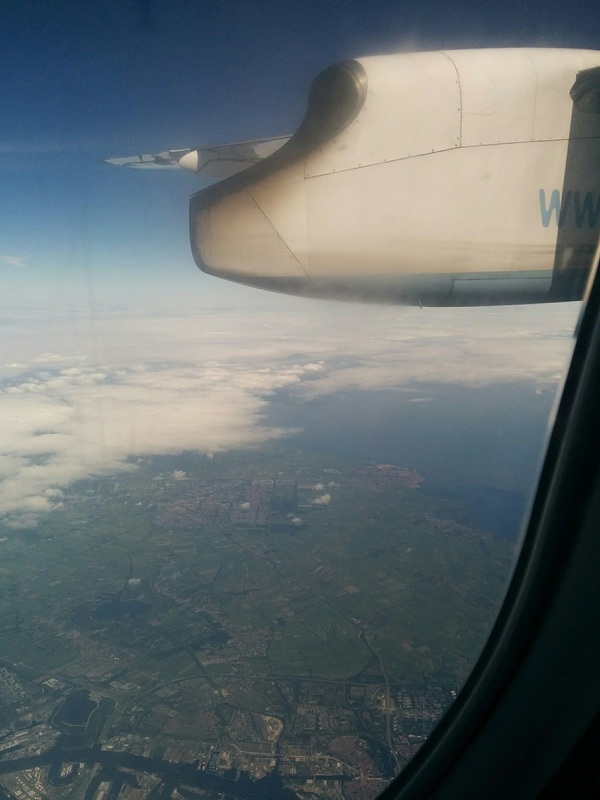 I got on the plane, which was only a small Flybe aircraft, and luckily had a window seat. I somehow managed to squash my bag into the overhead locker, and waited for take-off. This was my first time on a plane, so I was a bit nervous about taking off. The plane gathered speed and took off down the runway. As the plane left the ground, I realised that it felt very similar to a roller coaster. It was actually quite interesting to look out of the window and see how small everything was! I videoed some of the flight for the vlog I was putting together. As the plane started to decline, after about an hour of flying, I started to get a sharp pain in my head. I realised that it was due to the air pressure, and was completely normal. As we declined further, the pain got even worse, and I was actually in agony at one point. Flying had been great until the last 5 minutes. The plane landed, and the pain went away. We all left the plane, and got onto a little shuttle bus. Many of the passengers were speaking German, a language I barely hear in the UK. The bus stopped, and we all entered Dusseldorf Airport. 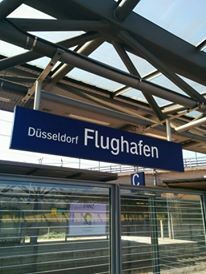 It was only a small airport, and I immediately found the Sky train I needed to get to Dusseldorf Flughafen Train Station. I had about an hour to kill, so again, I started videoing for my Vlog and reading Forsaken. A train arrived 10 minutes before mine was due, so I got on and hoped that it would take me to Cologne HBF. Luckily, it did! On the train, I had tried to get my phone signal to work, but for some reason it was playing up. I had missed two phone calls from one of the Star Player Guides, Angèle. When I arrived at Cologne HBF, I rang her back, but my phone signal was so weak that I could barely hear her. I got off the train and after about 5 minutes received a call from one of the other Star Player Guides, Natchai. Now for some reason, my phone was working again. We met at Platform 9, and began walking to the hotel. As we left the station, I had my first look at Cologne Cathedral. It looked stunning in the sunshine. We arrived at the hotel, and I was handed a Ubisoft Goodie bag. I had 2 hours to kill before we all met for the Star Players Dinner, so I spent the first hour unpacking, and recording an update for my vlog. The hotel room was absolutely massive! I was messaged by one of the other Star Players, Arnauld (Red Fox), and we met in the Lobby. Arnauld told me that he was a member of an E-sports team, and played online games such as The Division and Rainbow Six. After about 30 minutes speaking to Arnauld, I went back to unpacking. At 7 o’clock, I met the other Star Players and Guides. We went round in a circle and told the group which Ubisoft franchises we enjoy the most and how we all contribute to Communities. We had a real mix of fans, most of which were contributors to the following games: For Honor, Steep, Assassin’s Creed, Just Dance and The Division. Before the trip, I had done some research on the other Star Players, so I already roughly knew about the content everyone else produced. We had several Youtubers, Forum Moderators and Community Creators in our selection. I recognised Charbel and Elias from the Assassin’s Creed Community. It was great to be around people who love different franchises, yet individually add something different to Ubisoft Communities. We walked to the restaurant, which was about 10 minutes away from the hotel. I took this opportunity to get to know the other Star Players. The food was really nice at the restaurant. After the meal, I was introduced to the Assassin’s Creed Community Team, San San and Laureline. 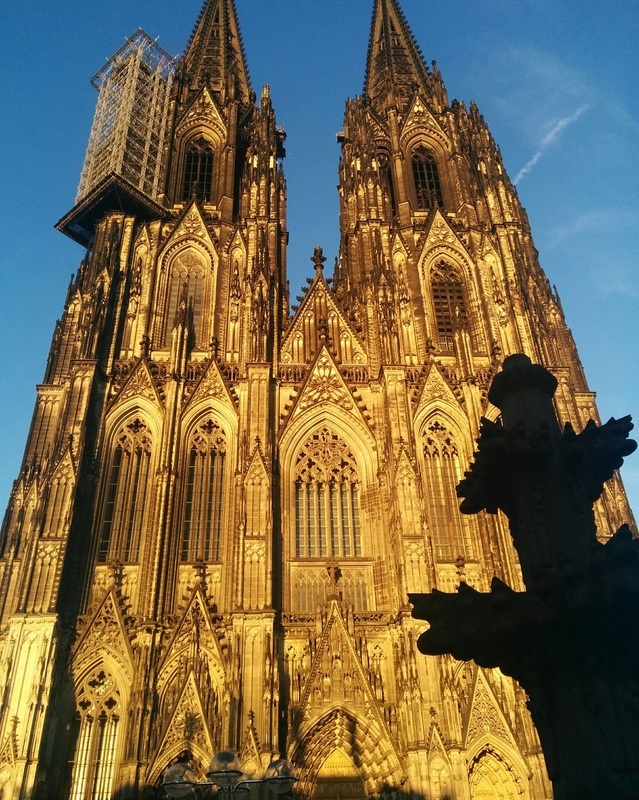 Next we walked to Cologne Cathedral, the iconic landmark that can be seen from everywhere in the city. We had our pictures taken by the camera crew in front of it. It was one of the most impressive structures I’ve ever seen. Such a gothic, dark building. I now want an AC game set in Cologne, as it looks like something straight out of the games! After about half an hour outside the Cathedral, we had the option to go to a party or back to the hotel. It was quite late, and many of the Star Players had travelled a long way. I decided to go to the party. It was full of people in different company shirts. Bethesda, Ubisoft and several others I recognised. We stayed for about an hour, then made the walk back to the hotel. It was late now, and we were up early the next morning. I slept in the next morning, so missed breakfast unfortunately. Luckily the Star Player guides had given us packets of skittles and chocolate, so I had that instead. We met in the lobby at 8.15, and waited for the shuttle bus to arrive. The drive to Gamescom took about half an hour. We all had our bags searched twice on entry, but the security still wasn’t as tight as I had expected. Hall 6 was where Ubisoft was based for the event, and we were given a tour by Leon Winkler. I was really impressed with the layout. Huge posters for games such as Eagle Flight and South Park. 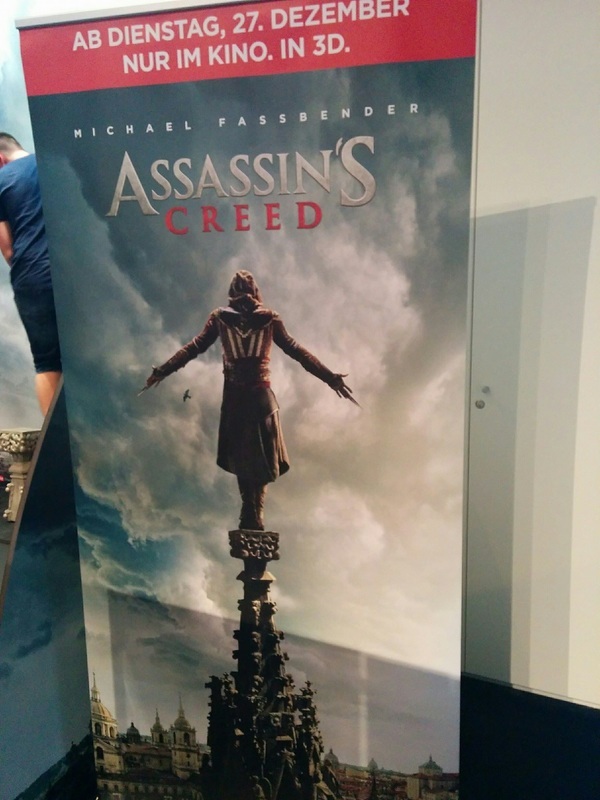 After looking at the Steep booth, we were taken to the Assassin’s Creed booth! It looked amazing! Aguilar and Maria’s robes were in glass cases, and you could take pictures with them. I had seen the robes once before at the London press event, but hadn’t been allowed to take pictures. Behind the robes was a Leap of Faith Photobooth experience! I knew this was where I would be spending most of my time at Gamescom. 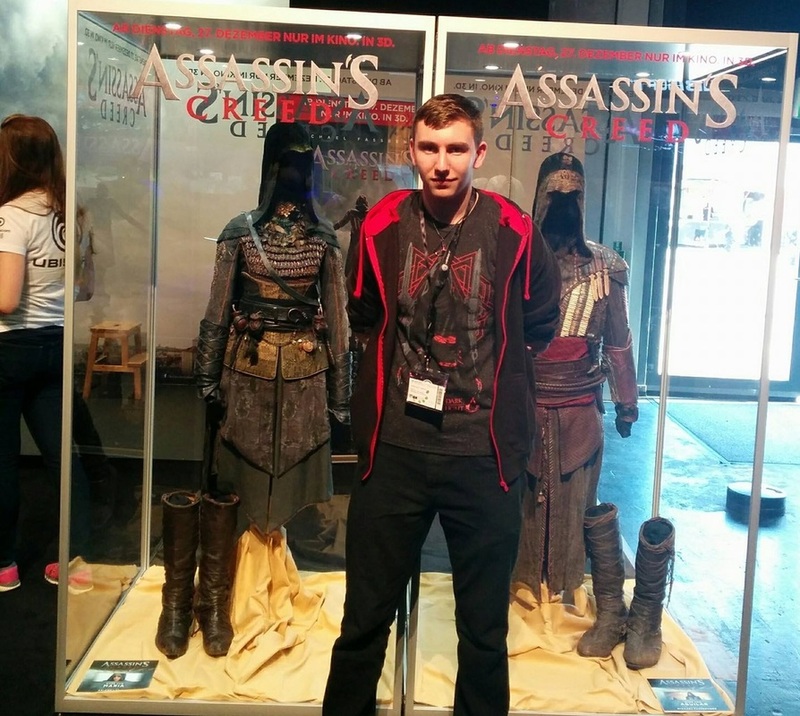 I felt right at home, wearing my AC Movie shirt and Assassin necklace. ​The next stop on the tour was the main stage, where Just Dance was taking place. Two of the Star Players (Liam and Can) joined the dancers on stage. I was so impressed that they had the courage to get on stage and dance in front of everyone! They were just as good as the professional dancers, and received a loud round of applause. After the dancing, the Star Players had a group photo taken on the main stage. We then had 2 and a half hours of free time to explore the event. I met Gabe Graziani, Marco from Access the Animus, and Rino The Bouncer! 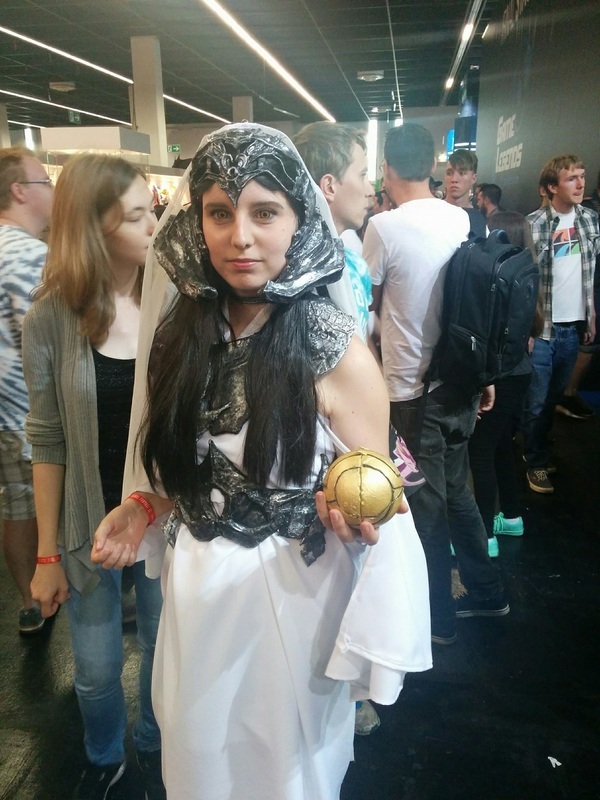 It was amazing to meet people who have contributed so much to the Assassin’s Creed Community! At 12 we had lunch over the road. Outside the weather was ridiculously hot, and I was regretting wearing a hoodie. Food was nice at the restaurant, and a huge table had been reserved for Ubisoft. Angele, Natchai and Moritz sorted everything out with the staff. I was impressed by how organised everything was! 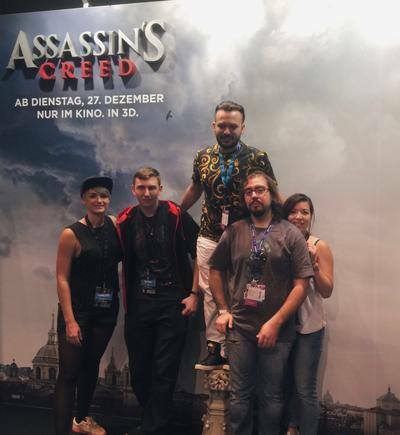 After lunch, we went back to Gamescom, and had the opportunity to explore the Ubisoft Lounge, as we had VIP access. Here we could play games such as Steep, South Park, For Honor and Star Trek. The first game I played was For Honor. It was an interesting experience, as it’s very rare I play multiplayer games. I was actually quite good at killing the enemy, but rubbish at blocking, so I died quite a few times. The Demo lasted about 20 minutes, and we had the opportunity to play in different ways. I enjoyed the game, and it felt different to any other game I’ve played. The next game I played was South Park: The Fractured But Whole using the Nosulus Rift. It was such a strange experience. The smell was disgusting, but my headphones weren’t working for some reason. I spent my time wandering around Cartman’s house. I love South Park, and enjoyed the first game, so it was cool to play the sequel before release. Next I tried Steep, which is an upcoming snowboarding game. I was impressed with the graphics, as the sun/snow aspects are really nice looking. It’s actually a pretty simple game when playing, but it becomes difficult when avoiding trees and going down slopes. I can see people perfecting tricks and techniques after a long time playing. I didn’t get the chance to play Star Trek, but I could see that the other Star Players were enjoying the experience. I went and did an Assassin’s Creed Leap of Faith photo. I found Laureline and San San, and we all got some great pictures at the AC Photobooth. Throughout the event, I was uploading images to an album on TOWCB Facebook page to keep fans updated on what was going on at Gamescom. I met Rick Boer at the AC Booth. His Aguilar robes are even more impressive in real life! 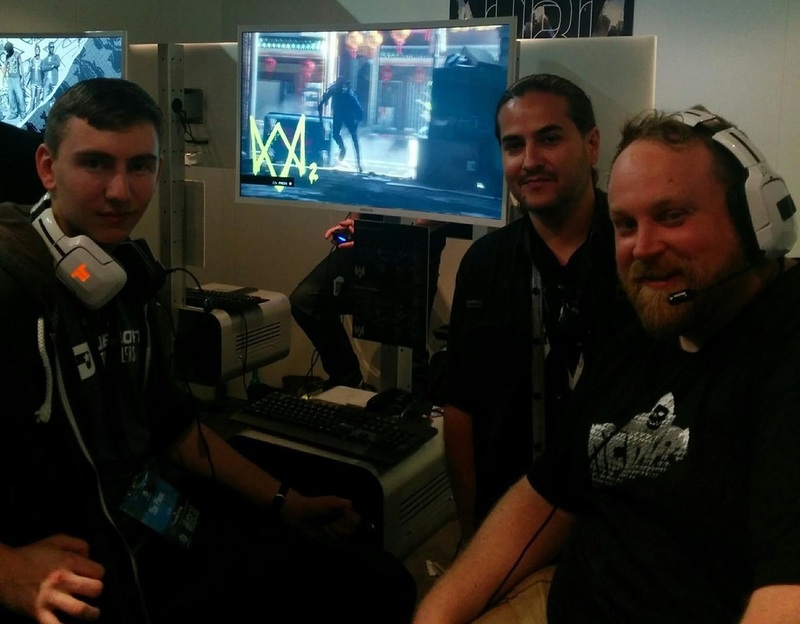 Some of the Star Players went to the Ubisoft Business Booth to play The Crew. I had played the beta previously, so knew what the game was about. The new DLC was about Police and Criminals, and it reminded me of the old Need for Speed games. It was actually really difficult to escape the police cars, but it was a great game. I attended the Might and Magic talk with several of the other Star Players. It was really interesting, as it’s a game I don’t really know much about. It seemed like a cross between Lord of the Rings and Mythical Lore, so it was cool to see the original art for creatures I’ve seen in other franchises. After the talk, several of the Star Players were interviewed by the Ubisoft Communication Team. 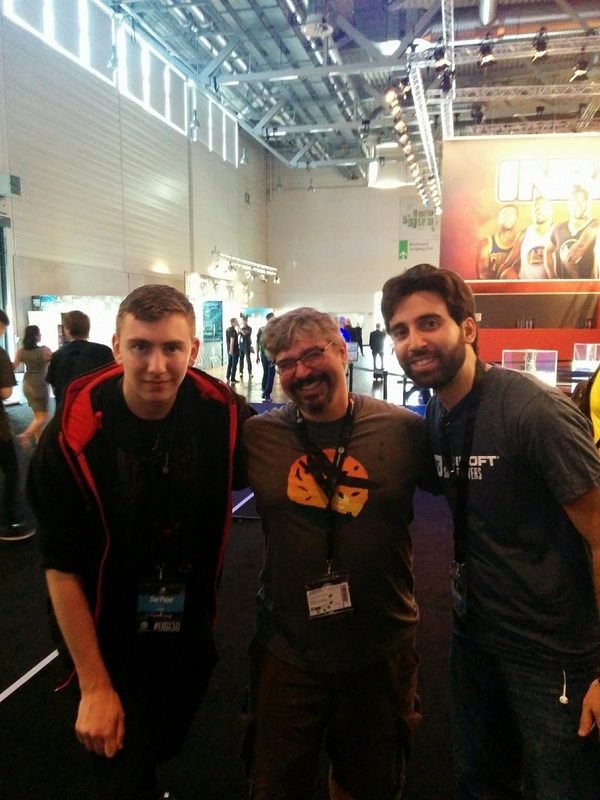 The interviews were really professional, and I watched Jon and Charbel answer questions on their Gamescom experiences. 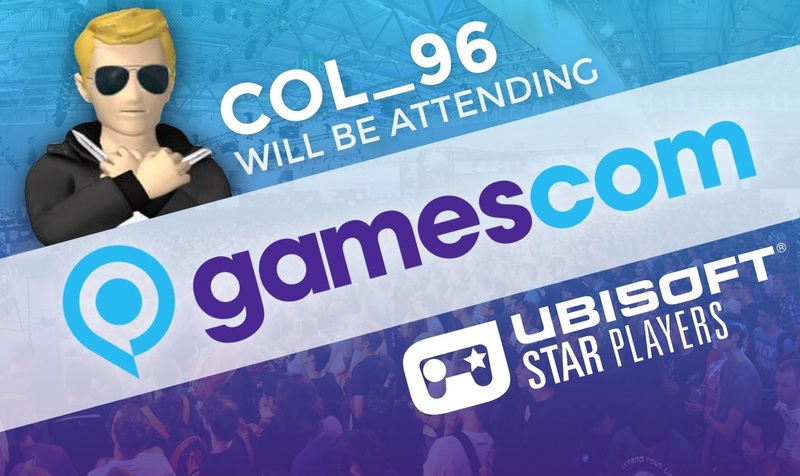 After the interviews, the Star Players all met outside the Ubisoft Lounge and travelled back to the hotel. We travelled back to the hotel by taxi, and it was weird to see the steering wheel on the left side! From the hotel we walked to the restaurant for dinner. It was quite late when the meal finished, and we were all tired after a long day. After the meal we all went back to the hotel. Some of the Star Players went for a few drinks in the hotel bar, which was practically empty. We tried the Cologne Kohn Lager, which was pretty similar to the stuff I drink at University. Waking up early once again, I met the other Star Players in the reception and travelled to Gamescom. This took a lot longer than the day before, as the traffic was crazy! We could see Cosplayers and Fans walking to the event, and I finally realised how big the event really was. When we arrived, the venue was absolutely packed. It was so busier than the day before. I took photos of every Assassin’s Creed Cosplayer I saw and added them to the album. So much time and effort had gone into the robes! I spent a lot of time with Elias exploring the other halls. Gamescom was much bigger than I had imagined. We had spent most of Day 1 in Hall 6, which in itself was massive, so I was shocked to find out that 11 Halls were open to the public. We all met at 11.45 and went to the restaurant over the road. 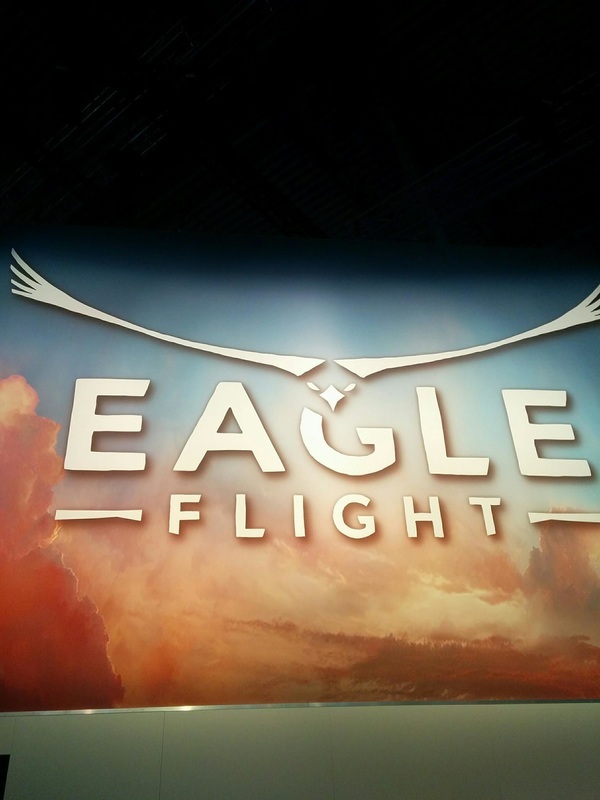 After lunch, we had the chance to play Eagle Flight. It was such an interesting game! I spent most the time shooting other birds out of the sky! It was my first time using an Oculus Rift in years, and it’s improved so much. By moving your head, the bird changes flight path. It took me a while to get used to the movement, as I was holding a controller as well, but after the demo, we played the multiplayer experience. I kept flying into the trees, but loved the game! Speaking to the other Star Players after, we all agreed that it is a very unusual game that takes a while to master, but is worth it in the end. It’s so satisfying to shoot the other team out of the sky! After Eagle Flight, I went back to the Main Stage with Charbel to watch the Assassin's Creed Movie Behind The Scenes Footage! Rick Boer was on stage, and the crowd absolutely loved the footage. After the AC Movie section had finished, we went back to the Assassin's Creed Booth, which was now absolutely packed! So many people wanted to use the Photobooth to get a Leap of Faith photo. Cosplayers were taking pictures with fans. Laureline and San San were handing out exclusive Ezio prints. I managed to get #3 out of 100! It’s now been framed. Next, I attended the Watch Dogs 2 Masterclass with Charbel. It was great to finally meet Chase Straight and Hanny! It was a really interesting talk, and we all learned about the development and creation of the game. After the talk, we went back to the Ubisoft Lounge, where the Assassin’s Creed Star Players were handed so many cool gifts! 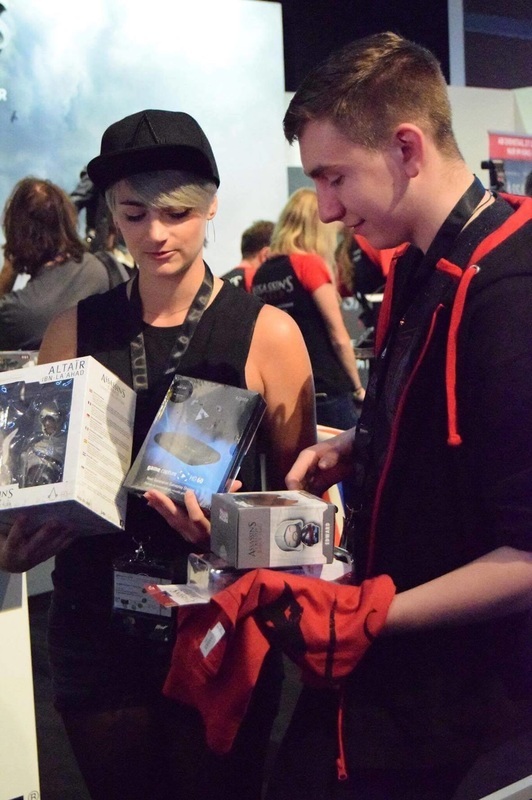 We were given Statues, Busts, Figures, T-shirts and an Elgato Gaming Capture Card! The Assassin’s Creed Community Team gave us so much! Honestly can’t thank them enough. After receiving a mountain of gifts from the AC Team, we went to the business booth and tried Watch Dogs 2! I wasn’t expecting to actually be able to play the game, so it was a huge surprise! When we entered the business booth, I immediately recognised Aline Piner (PR Manager) from the Assassin’s Creed London Event. It was great to see her again, as she had also seen the first 20 minutes of the movie. We spent a long time talking about Movie promotion and fan responses. I was then taken into the Watch Dogs 2 booth, where I met Colin Graham (Animation Director). It was great to finally meet Colin, as I had wanted to meet him years ago at the Watch Dogs release event in Newcastle. He had been unable to attend the event back then, so finally meeting him was a nice surprise. He talked me through Watch Dogs 2, and I noticed how detailed the game is. The technology has been advanced so much, and the hacks are now so clever. I spent much of the demo hacking cars and changing clothes. Using the Drone was great fun, as you can spot enemies from the sky. I also enjoyed using the Taser, as it knocks out the enemies with one shot. I tried to be stealthy, but I kept forgetting the controls (as it was on console). It ended in a shoot-out, and thankfully the multiplayer partner helped me to escape with the loot. ​After trying Watch Dogs 2, we went back to the Ubisoft Lounge and said our goodbyes. It was time to leave Gamescom and make the journey home. The Star Player guides took us on the train to Cologne Train Station. From here, we all said goodbye and went our own separate ways. I waited for a train with Sam (For Honor Community Reporter), and travelled to Dusseldorf. Sam got off at the stop before me, and I then made my way to the Airport Trainstation. From there, I got on the shuttle train to the Airport, and found the correct gate after checking in. After passing security, I killed time by reading for an hour, and got on the plane to Birmingham. I saw the most beautiful sunset on the way back. From Birmingham my Dad picked me up and drove back to Carlisle. The Star Player Experience was extremely well organised, and was an experience that will stay with me for the rest of my life. To be selected as a Star Player is such an honour, and I absolutely loved every moment of the trip. I met some amazing people, and I will never forget the experience. 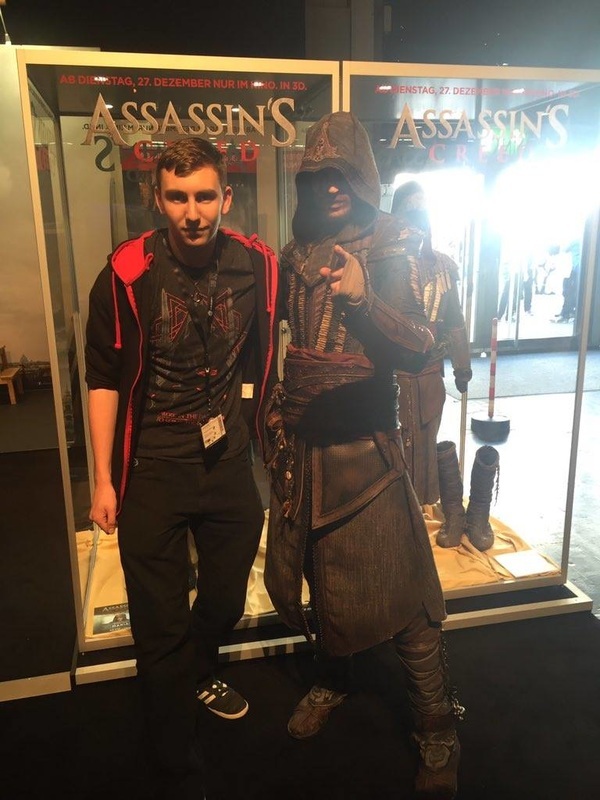 It was a real eye opener to meet people who knew of my own work in the Assassin’s Creed Community. I never consider my work to be of huge significance, so it was so strange to hear people telling me how The Ones Who Came Before is a great source of information for them. To be recognised at a huge event was such a shock to me. To represent the Assassin's Creed Community as an ambassador once again was a huge personal achievement for me. It's a brand that I have loved for many years, and has given me so much over the years. 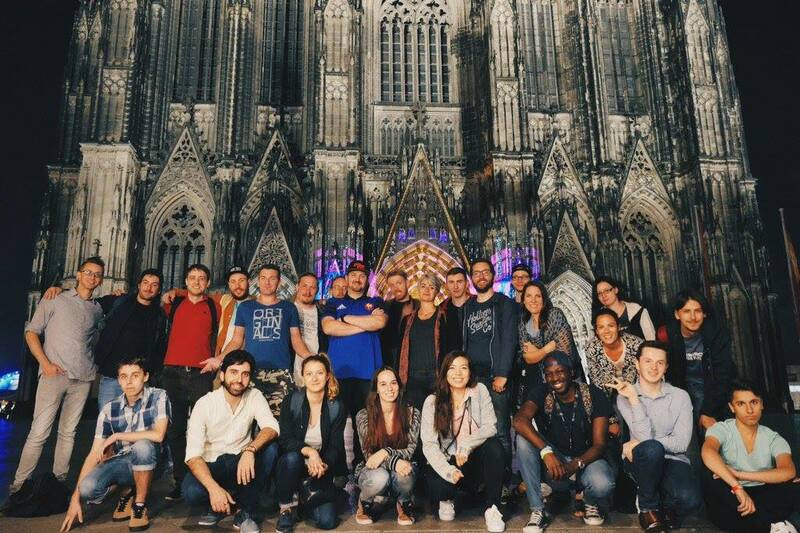 Thank you so much to everyone at Ubisoft who made this trip possible. Click here to see all the photos taken at the event. Click here to watch the Gamescom Vlog.